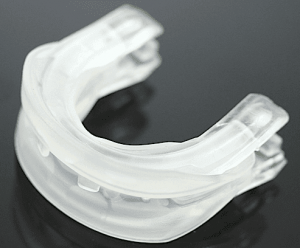 The SnoreRX and Snore MD Pro are mandibular advancement devices or MADs. 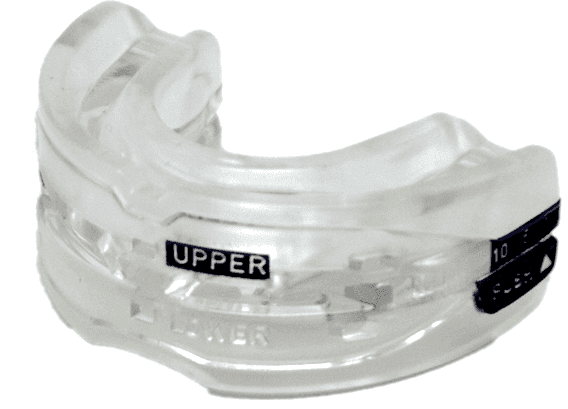 These type of anti-snoring devices keep your jaw thrust forward so that your airway remains open and you don’t snore. You wear these versions of a MAD inside your mouth. Both SnoreRX and SnoreMD Pro have Flex Jaw to help customize the fit. You must use the boil and bit fitting method first. Once that is done, you can adjust the fit with the Flex Jaw. 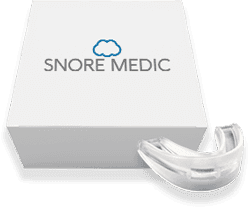 The manufacturers of the SnoreMD Pro made the device out of copolymers and components that make it very comfortable to wear. The various ways you can adjust it, using the Flex Jaw and Micro-fit, makes it fit any size mouth. The cleaning takes time, as there are more than the usual numbers of tiny cracks and holes that must be cleaned properly to avoid bacterial infections. The price caused me a bit of angst. I had to buy two, one for my wife, but fortunately, the sale price, still in effect, kept the cost under $200 total. After the boil and bite fitting, my wife and I adjusted the fit to our mouths with the Flex Jaw. It was relatively easy as all you had to do is squeeze the bottom. However, you have to be careful, as it is easy for it to move more than one increment. It was not as easy as we expected. The device supposedly allows you to drink and talk while wearing it. We both found that we had difficulty doing so. I spilled water all over myself the first time I tried to drink while wearing it. I awoke the first night when my wife elbowed me in the side. I was snoring loudly. It took me three nights, but I was finally able to find the right fit to stop me from snoring. Until I got the fit right, I had a sore mouth when I awoke. However, when I finally got the device to fit properly, the soreness disappeared. My wife, though, did not make a sound. She did not need to readjust her SnoreMD and experienced no mouth soreness either. Cleaning with the brush took more time than I liked but we eventually got used to that too. Overall the mouthpiece was fine, but it’s not one of my top stop snoring devices. The SnoreRX looks a bit strange but it feels very comfortable in your mouth. The Flex Jaw settings give you the opportunity to adjust it in 1 mm increments until you find the perfect fit. Cleaning requires disassembly and scrubbing well with a toothbrush. There are lots of crevices and crannies, so you must ensure that you reach all of them to prevent the bacterium from accumulating. After you scrub it, you drop it into a glass of water, add a denture cleaning tablet and it will be fresh and hygienic for that evening. My wife and I were meticulous about the fitting process, so it took more time that we expected. We carefully adjusted the Flex Jaw. However, despite our efforts, I awoke after the first morning with a slightly sore jaw. My wife, however, felt fine. Once I made a slight adjustment, the following night the soreness disappeared. The results pleased both of us. My son claimed he did not hear anything coming from our bedroom. I woke up to let the dogs out and noticed that my wife was quietly asleep. She reported the same thing about me when she got up to use the bathroom. The cleaning was the most onerous part of using the SnoreRX. We had to brush it well and it seemed to take forever. We quickly got used to it and after a couple mornings the cleaning became routine. The SnoreRX overall was easier to fit and slightly easier to clean. To be fair, once I was able to fit the SnoreMD Pro properly, it too worked as advertised and kept my wife and me from snoring. 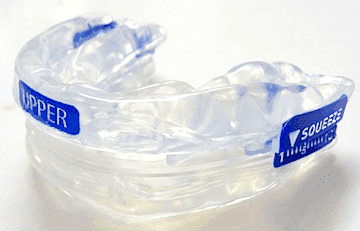 If you purchase either mouthguard, make sure to use a SnoreRX coupon or SnoreMD Pro Coupon.